Students build their film-making and creative storytelling skills through conceptualizing and producing their own short film. Students work in small groups and each camper chooses a set job for the week. The students work together to write a script, build sets, props and costumes, design effects, rehearse, film and edit. We cover film theory, cinematography and production design in the first few days, and campers spend the majority of the workshop creating their film. Instruction takes place at the Tigermen Den, although students also have the option to film at nearby neighborhood locations. These include Markey Park, Clouet Gardens, Crescent Park, Pizza Delicious, shops and restaurants on Dauphine St, NOCCA gardens, and more. We bring the kids to Markey Park after lunch for break time - a two block walk from the Tigermen Den. No film experience required. Great for kids interested in media arts, theater, acting, visual arts, costumes, crafting, storytelling, writing, performance. DATES: TBA - Registration opens October. TIME: 9am - 3pm, Aftercare available 3-5pm, $15/day or $75 for 6 days. Drop off begins 8:45 am. Pick up 3-3:15pm. Scholarships available! Email us for more info on financial aid and sibling discounts. Check out these short films from our previous sessions! Pedro Lucero is an award-winning producer. For the last two decades, Pedro Lucero has been a part of the New Orleans film industry, working behind the scenes, in front of the camera, and carving out any kind of hustle to get movies made in the thriving city of New Orleans. Getting his start in the theater at an early age, Pedro learned quick timing and discovered an acute sense of what makes a scene move. This taste of acting gave him the fever for creating worlds, challenging norms and striving to see a multitude of projects get made. Pedro has taught film at different levels, from middle school to college, at Dillard University, Sci High, and 4.0 Schools Enriched. Pedro has also been an integral part of various film and music festivals across Louisiana, and even Austin, Texas. Having written, directed, and produced, Pedro’s work can be seen all across a swath of outlets including film, television, and the web. Aliena Remborn is a creative director and cinematographer based out of New Orleans, Louisiana. Born in Valparaiso, Chile, Aliena spent most of her time growing up in North Carolina where she attended the University of North Carolina School of the Arts for Filmmaking with a discipline in Cinematography. She has worked in every department within the industry, and spends most of her time working in the camera department. Recently, she started her own production company called Rapid Eye Movement, offering Photography and Video production, Branded Content Creation, Creative Direction and Consultation, and Website and Social Media Management. She has worked with USA, OWN, Lifetime, Comedy Central, NBC, Food Network, and more. DAY 3: Finish sets, props, costumes, rehearse, film! DAY 6: Edit, select music and sound effects, Film Premiere! 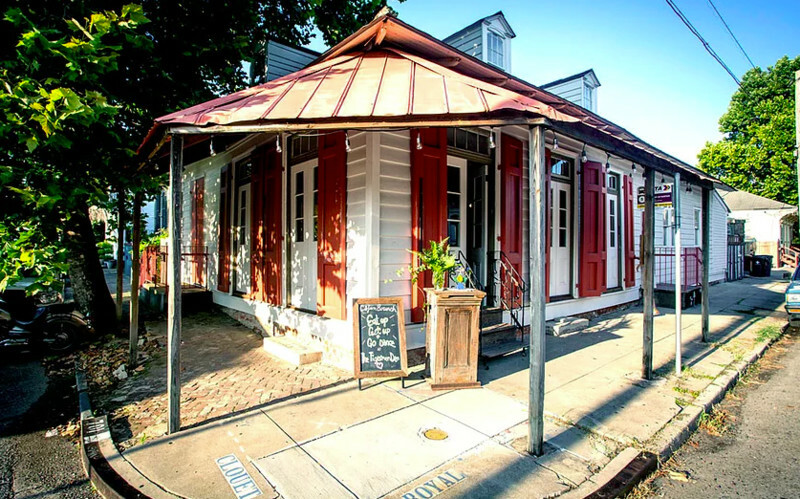 3113 Royal Street was built in the early 19th Century, with only a few fruit trees separating the scattered homes of the newly forming Bywater neighborhood. Originally built as a dry goods storehouse, today The Tigermen Den functions as a community arts and events space. At the corner of Royal and Clouet, the Den is home to international music workshops, artist exhibitions, pop up record shops and movie theaters, language classes, traditional fais do dos, and much, much more. Our students have the option to film at the Tigermen Den OR walk to one of the many nearby locations to grab their shot - including Crescent Park, NOCCA gardens, Markey Park, Clouet Gardens, Pizza Delicious, and more! Behind the scenes at Film Camp - check out more pics on our Facebook page!